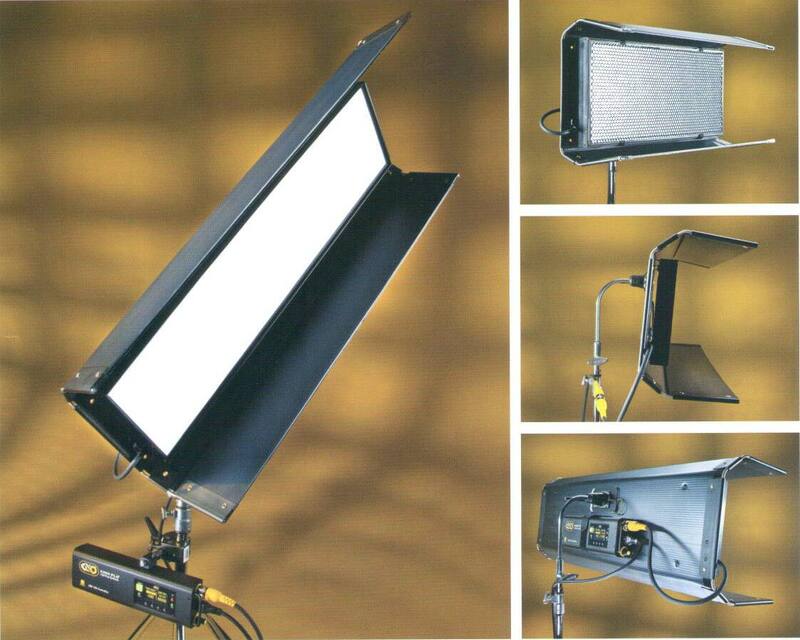 Kino Flo Select LEDs were two of the most exciting new lighting fixtures at IBC. Frieder must have bitten his lip when he first showed them to me and I said, “Oh, wow–Kino LEDs.” Because they look like the very familiar classic Kino Flo fixtures, but have smooth, soft Celeb-like LED illumination instead of fluorescent tubes. There will be two models: Select 30 (40.5 inches long, 12 lb) and Select 20 (26.5 inches long, 10 lb). Both are a mere 3 inches deep and 13″ high. A nice thing is you can put them in the trunk of most cars, which you can’t always do with a 4′ 2-bank or 4-bank fluorescent (48″ wide +). The selects have continuous dimming, variable color from 2700K to 6500K, and Green/Magenta control. I think it covers the equivalent of full plus or minus green gel. So…the Select 30 is about 1/2 the weight of a Kino Flo Celeb 401, with the mounting, built-in protective barn doors and shape that gaffers and DPs know and love. Can you help me understand how these differ and pros/cons vs their Celeb 201 and 401?